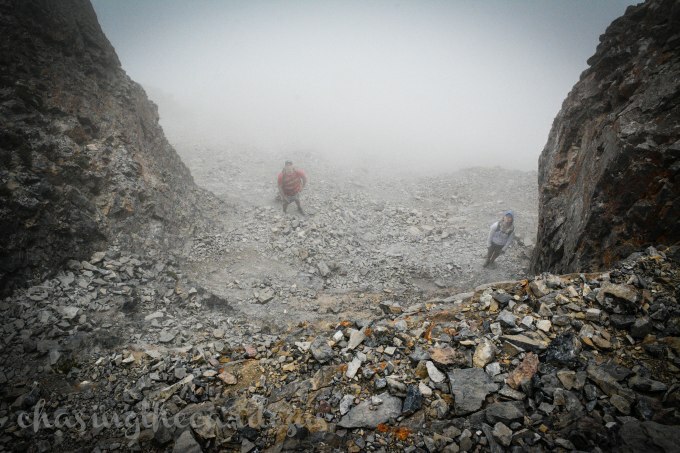 This was our second ascent to the top of Mt. 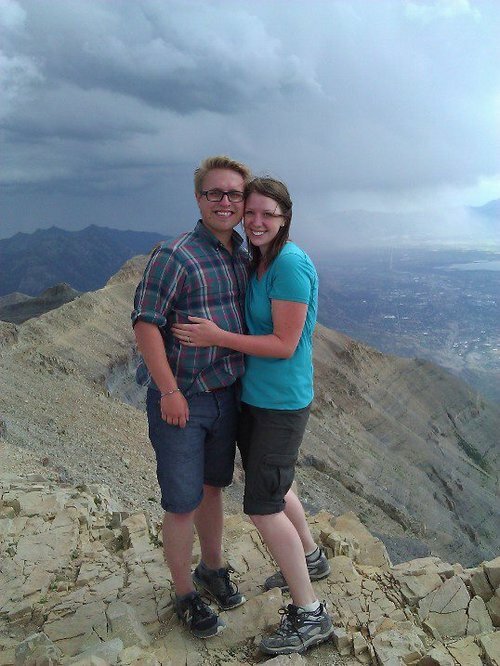 Timpanogos, but our first time with a baby. 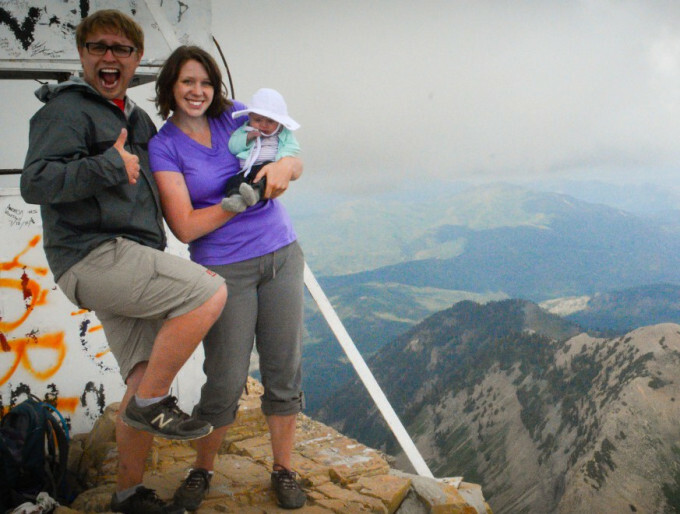 I have this brilliant idea that we should hike it each time we get a new kid, that way we can have this cool collection of pictures showing our family growing each time we reach the summit. We'll see how that goes. So far, this is what we have. 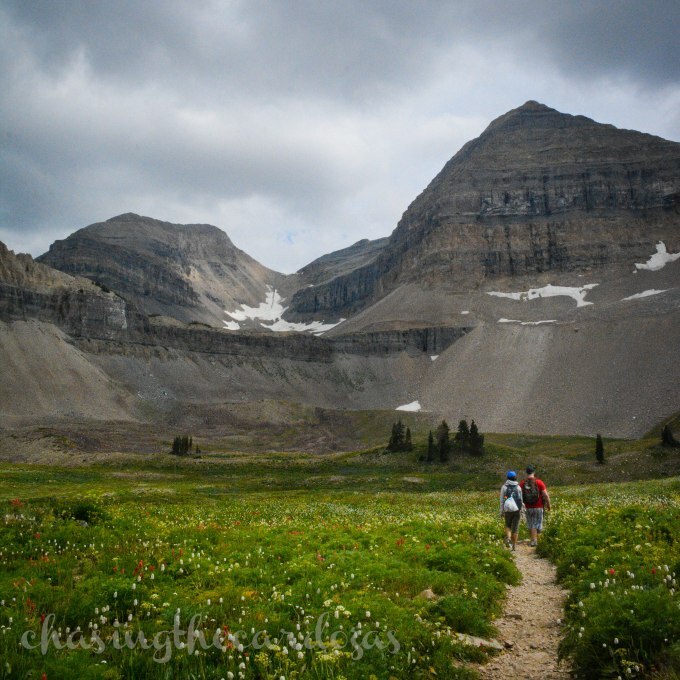 The first part of the trail is fairly moderate and passes a total of 9 little waterfalls, switch backing up until it reaches this beautiful alpine meadow. I'm not gonna lie, there were a few times I was tempted to skip though the flowers singing "the hills are alive..." Unfortunately, I did not due to how populated the trail was. 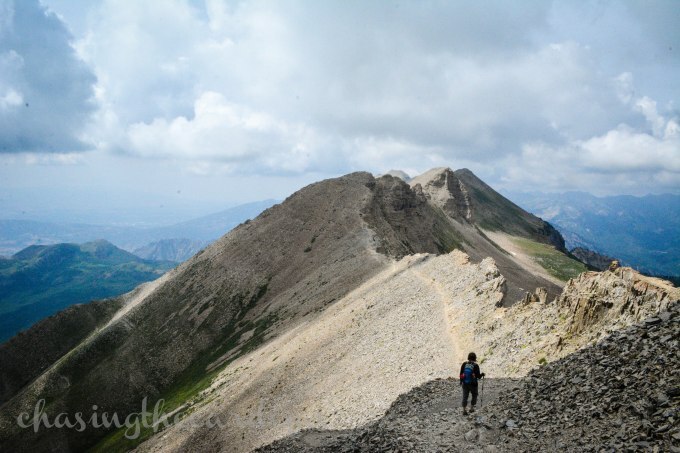 After we passed through the meadow we hiked up some steep switchbacks to the saddle. 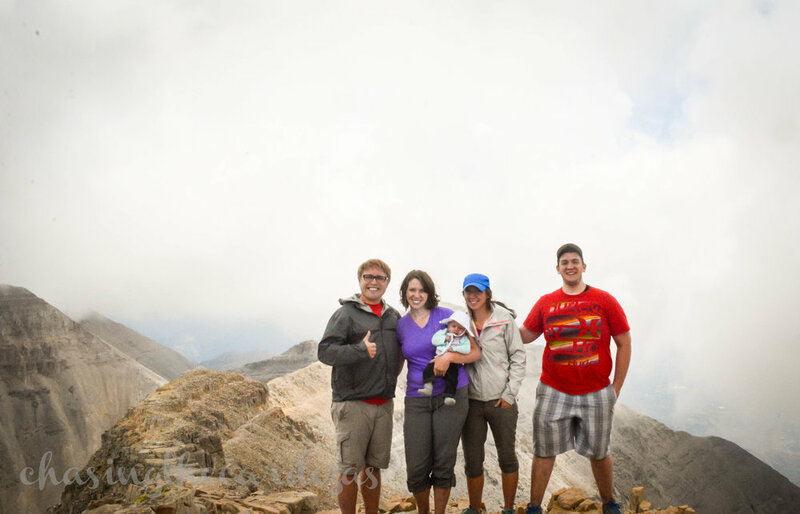 When we got to the top, we were completely encompassed by clouds. At times, you could hardly see 10 feet in front of you it was so dense. We spotted some mountain goats. 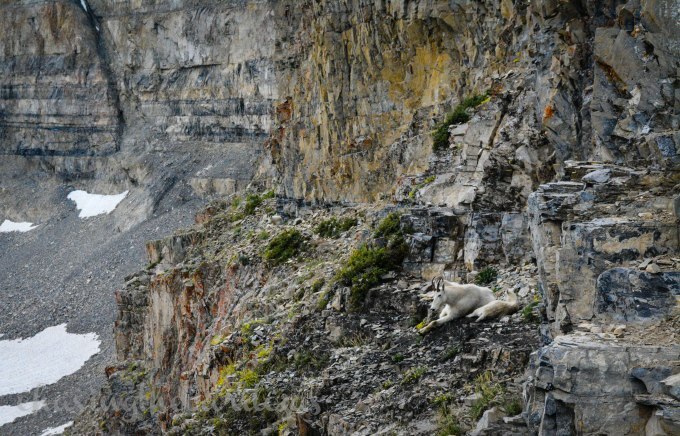 A mamma and her baby just chillin' on the edge of a cliff. We braked for a while had some snacks and continued on. There were some parts of the trail where it was frighteningly steep to the point where you had to use all 4 limbs (of coarse these were Danny's favorite parts). The picture above doesn't do the steep part justice. When we finally reached the top our legs were overjoyed to have a rest. The view was amazing. (all we could see were clouds). 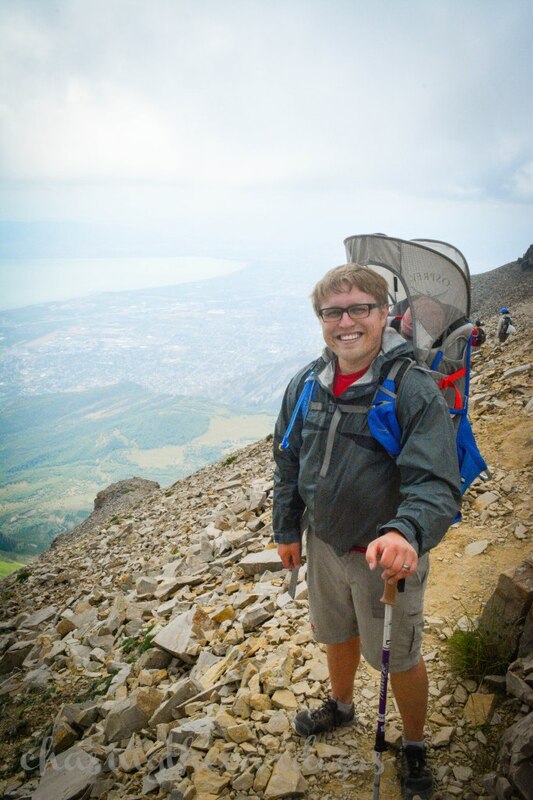 After the sun burned away some of the clouds, we could see bits and pieces of Utah County and Heber City and beyond. We plopped down and ate lunch enjoying the beautiful view. Danny signed our names into the registry. Sophie very well could be one of the youngest babies to have made it to the top! 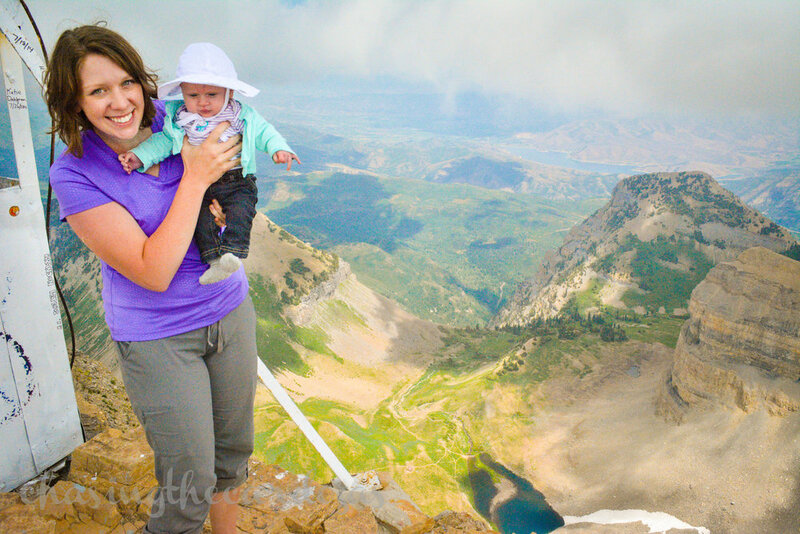 (Later, I will write a post about summiting mountains with babies and the gear we use). For some reason it seemed like the descent took longer then we expected. Towards the last mile, Sophie started to get very cranky. 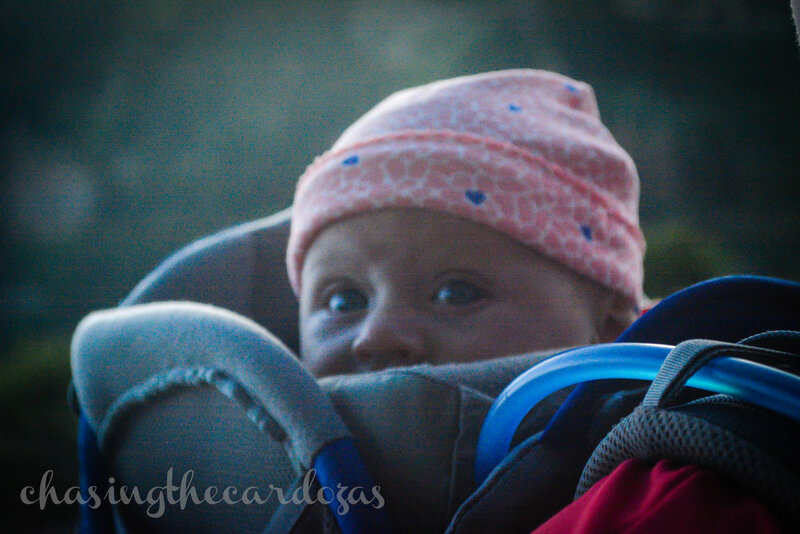 We didn't want to stop and feed her because we wanted to get to the trail head before it got dark, so I attempted the impossible and breastfed her while hiking down. I know, crazy, but it worked. When we finally got to the car we took our shoes off our achy feet and noticed they deserved a picture of how dirty they were (Sophie won the cleanest feet award). All in all it was a fun day and the sore feet were well worth it!